2 What is a 0w20 Synthetic Oil? Your engine needs lubrication to keep going and without engine oil, your vehicle will not survive an hour on the road. It is known that the engine has a lot of moving parts, creating heat and friction and the engine oil prevents this from happening. While there are several types of oil available on the market, the 0w20 synthetic oils are the most trusted by automotive manufacturers. Nowadays, modern cars constantly require preventive maintenance and car owners do their best to make sure that their vehicles continue to run as efficiently and smoothly as possible. 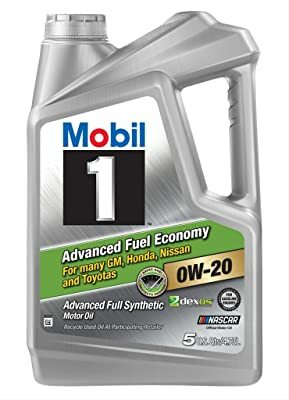 In this post, we are going to discuss the top 5 recommendations for the best 0w20 synthetic oil, as well as the essential factors to look for in a good synthetic oil. Read on if you want to know more. In this section, we are going to talk about the top 5 recommendations for the best 0w20 synthetic oils available right now. Make sure to read each product’s features, pros, and cons, as it can be of great help in narrowing down your choices. 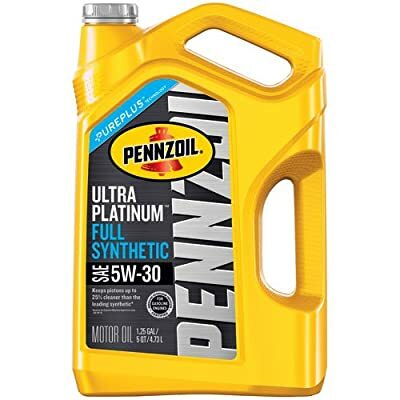 The Pennzoil Ultra Platinum 0w20 full synthetic motor oil is a product of the brand’s high-performance additives and Pennzoil’s Pure Plus synthetic base oils. The patented Pure Plus technology is an extensive process of converting pure natural gas into a high-quality full synthetic base oil, specifically used in the Pennzoil Platinum line of engine oils. This motor oil features a consistently lower viscosity during low temperatures, which would mean that the engine would require less effort to pump the oil, especially during high-temperature conditions. To add, you can drive an additional 550 miles annually with this engine oil and it can help protect your engine from losing power. Another great quality of the Pennzoil Ultra Platinum Synthetic Motor Oil is that it delivers a faster low-temperature oil flow, while at the same time, providing protection in extreme heat. You probably are already familiar with the importance of regularly checking the oil level in your car. However, the importance of getting a high-grade oil for your vehicle is something you might not know yet. If your car has a high-grade engine oil such as the Mobil 1 Advanced Full Synthetic Oil, you would definitely notice an improvement to the fuel economy. This 0w20 synthetic oil aids in starting your car a lot easier during cold weather and it delivers long-lasting protection while extending the lifespan of your vehicle’s engine. What’s great about Mobil 1 motor oil is that improves engine efficiency, as well as fuel economy by up to 2 percent. Additionally, it provides optimum oxidation and thermal stability for your car’s engine. Other great features include its accurately balanced oil additive component system, excellent lubrication capabilities, oil aging reduction, and wear protection. 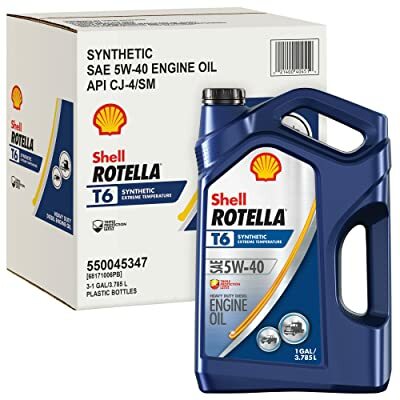 Another great product on this list of best 0w20 synthetic oils is the Shell Rotella Diesel Oil. It delivers up to 1.5% improved better fuel economy while, at the same time, enhances the engine’s durability and protection. It is also noteworthy that this diesel oil offers a significantly higher level of protection damaging engine wear compared to other engine oils on the market. Other great features include enhanced deposit control, a product of the combination of the oil additives and the synthetic base oils, improved protection against dirt and other harmful contaminants, its compatibility with emission systems, enhanced heat resistance, as well as vehicle emission compliance maintenance and engine fuel efficiency. The Royal Purple Synthetic Motor Oil is another great product if you want something that can lubricate your vehicle’s engine sufficiently. To add, it showcases great cleaning capabilities while protecting the engine from wear and tear. It is noteworthy that the brand is among the top motor oils with the highest customer ratings and satisfaction. You may notice that this synthetic oil has low viscosity levels, but it should not worry you. 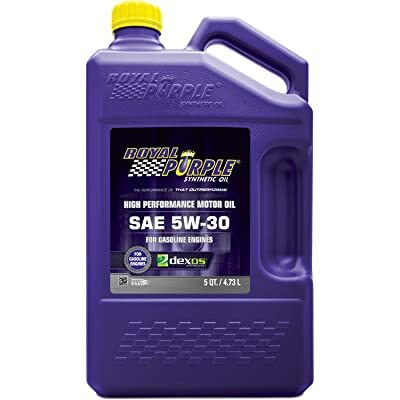 Interestingly, the Royal Purple synthetic oil claims that it can provide you with more horsepower, as well as more mileage per gallon, especially on long drives. The RedLine Power Pack Oil Package might be the one you’re looking for if you’re after better shifting, less wear and tear, less noise and cooler operating temperatures. The Power Pack includes a complete kit for bikes that are equipped with Evolution and twin-cam engines, including a bottle of the cleaner system designed for motorcycles. 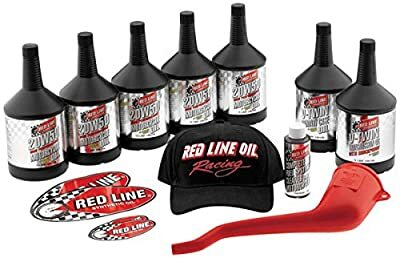 The package already comes with 5 quarts of 20w50 motorcycle oil, 1 quart of V-Twin transmission oil, a bottle of Fuel Injection Cleaner specifically formulated for motorcycles, 1 quart of Primary Chain Case Oil, an embroidered hat, and a funnel. Indeed, this kit already has all you will ever need to maintain your motorcycle’s engine. What is a 0w20 Synthetic Oil? Before we proceed with the reviews, it is important that you familiarize yourself with 0w20 code. Basically, it is the classification of oil viscosity set by the Society of Automotive Engineering. The ‘W’ is for the winter certification, which is the rate of the oil’s flowability during low temperature. For instance, 0w means 0 degrees Fahrenheit. The ‘20’, on the other hand, is the level of oil viscosity during high temperatures. It should be noted that if the oil has a lower number, that usually means that it has perfect viscosity even under extreme conditions. To sum, 0w20 means that this synthetic engine oil has 0°F oil flowability at the lowest temperature and is rated 20 for oil viscosity at the highest temperature. You should not confuse yourself with the conventional engine oil, as it can provide lubrication for the engine parts during hig-temperature conditions; whereas the 0w20 synthetic oil went through a refining process, removing impurities while increasing its longevity and lubricating properties. With this, it is vital that you know beforehand what type of oil suits your vehicle. Conventional oil – This is considered as the widely used engine oil, especially for newer car models. As with other oils, this also comes with a viscosity classification, which means that you will know beforehand the oil that is suitable for your car. When choosing an oil, it must be kept in mind that the oil should meet the recommended specifications. Full synthetic oil – Full synthetic oils are claimed to have a higher quality than conventional oils. Additionally, it has been proven to last longer while providing maximum vehicle protection. Synthetic blend oil – This type of oil is a combination of the conventional and synthetic oil. It claims to have a superior quality while providing long-lasting protection. High mileage oil – High mileage oils are formulated due provide extended protection to your vehicle’s engine and it can take up to 75,000 mileages before you should change it. Choosing the best 0w20 synthetic oil is no easy task, especially if you do not know what to look for. In this section, we will be discussing the factors you, as a car owner, should consider when selecting a 0w20 synthetic oil. As not all of them are created equally, choosing the wrong oil can potentially damage your vehicle. Whether you have a gasoline or diesel engine, it is important that you check the recommended oil by the manufacturer. Using the wrong oil can be harmful to your vehicle’s engine and can cause permanent damage. With several types of oil to choose from, how do you choose the right one? As discussed, you must check with the manufacturer which oil meets your car’s specifications. At higher temperatures, oil tends to thin, which significantly reduces the engine’s protection. The degree of oil to resist the thinning process is referred to as viscosity. When choosing a 0w20 synthetic oil, make sure that it can withstand prevailing conditions. It would also help a lot if you check the SAE rating of the synthetic oil. Oil additives are one of the most common ways in oil stabilization. They are also known to improve the oil’s viscosity index, which would mean that the oil would not undergo thinning even if the temperature rises. Other additives included detergents, antioxidants, foam inhibitors, and anti-wear, which all improve the engine’s overall lubrication. When choosing a 0w20 synthetic oil, make sure that you check certifications such as the viscosity rating set by the Society of Automotive Engineering. Nowadays, it would be rare if you would see a 0w20 synthetic oil with a single viscosity label. It is very common now that these ratings come in codes such as the ‘0w20’, which generally indicates higher engine protection. Now that we have discussed all there is to know about 0w20 synthetic oils, it is now up to you to evaluate which of the products mentioned above is the right one for your vehicle’s engine. We hope that you can choose wisely just by referring to our reviews, and by taking note of all the important factors that need to be considered when choosing the best 0w20 synthetic oil.